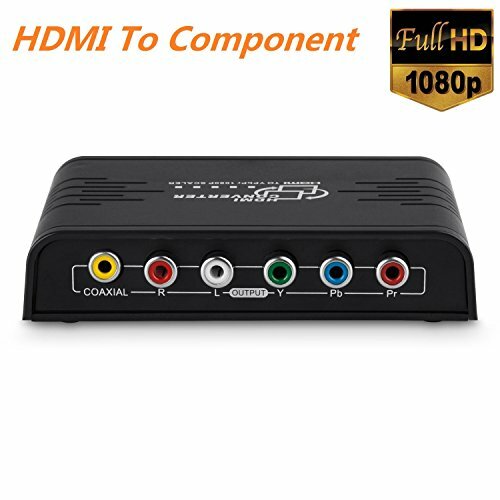 allowing the viewing of digital video to be presented on a RGB display via standard component video cable. The device also comes with a scaler with both up-scaling and down-scaling function that will allow you to adjust the output signal to a resolution that is compatible with your RGB display. Please adjust HDMI resolution（480p/720p/1080p) when it shows 8-color banners with " IN NO SIGNAL"
30 days money back guarantee and provide buyers with a lifetime after-sales service support!